Scientists have been looking at best, middling and worst case scenarios for anthropogenic climate change for decades. For instance, Stephen Schneider himself took a turn back in 2009. And others have postulated both far more rosy and far more catastrophic possibilities as well (with somewhat variable evidentiary bases). Given some unexpected down time this month (and maybe next month too! ), I’ve been trying to go through key old posts on this site. The basic idea is to update links to other sites, references and figures that over the years have died (site domains that were abandoned, site redesigns, deliberate deletions etc.). Most notably, the IPCC website recently broke all the existing links to elements of the reports which we had referenced in hundreds of places. Thanks guys! Some folk have been notifying us of issues they found (thanks Marcus!) and I’ve been fixing those as they come up, but obviously there are more. Links to old blog posts from Deltoid, Scienceblogs, Pielke Sr. or Prometheus generally don’t work anymore though they can sometimes be found on the wayback machine. It turns out a lot has changed since 2004 and many hotlinked images in particular have disappeared. It’s obviously not worth finding replacements for every dead link, but digital uncluttering and fixing up is useful. So, please use this thread to notify us of any useful fixes we can make (and if you have an updated link,, that’d be perfect). Additionally, please let us know if any of the old content is still useful or interesting to you. We know there is still substantial traffic to the back catalog, so maybe it should be highlighted in some way? To those of you who might ask whether blogging still brings me joy… of course it does! The underlying mission of my job is to safeguard lives and property through climate change adaptation based on science. In other words, to help society to prepare itself for risks connected with more extreme rainfall and temperatures. For many people, “climate” may seem to be an abstract concept. I have had many conversations about climate, and then realised that people often have different interpretations. In my mind, climate is the same as weather statistics (which I realise can be quite abstract to many). To avoid miscommunication, I want to make sure that we are on the same page when I discuss climate. Maybe it helps if I talk about more familiar and specific aspects, such as the temperature, rainfall, snow, or wind? In possibly the biggest “Friday night news dump” in climate report history, the long awaited 4th National Climate Assessment (#NCA4) was released today (roughly two weeks earlier than everyone had been expecting). 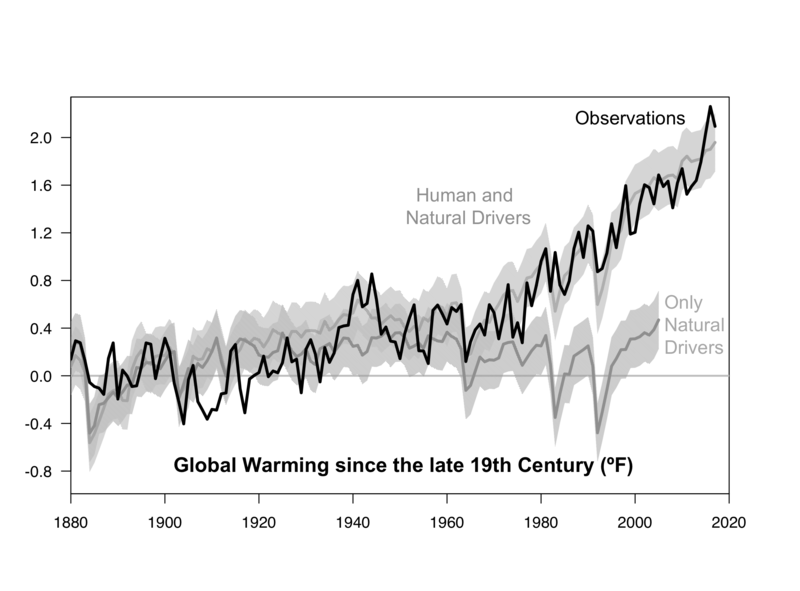 The summaries and FAQ (pdf) are good, and the ClimateNexus briefing is worth reading too. The basic picture is utterly unsurprising, but the real interest in the NCA is the detailed work on vulnerabilities and sectorial impacts in 10 specific regions of the US. The writing teams for those sections include a whole raft of scientists and local stakeholders and so if you think climate reports are the same old, same old, it’s where you should go to read things you might not have seen before. Obviously, since the report was only released at 2pm today without any serious embargo, most takes you will read today or tomorrow will be pretty superficial, but there should be more considered discussions over the next few days. Feel free to ask specific questions or bring up topics below. The biggest crime scene on the planet is the planet. We know the earth is warming, but who or what is causing it? Many of you will recognise the metaphor from previous Realclimate pieces (this is earliest one I think, from 2007), and indeed, the working title was “CSI: Planet Earth”. The process description and conclusions are drawn from multiple sources on the attribution of recent climate trends (here, here etc. ), as well the data visualization for surface temperature trends at Bloomberg News. My response is basically that it might be old hat for him (and maybe many readers here), but I am constantly surprised at the number of people – even those concerned about climate – who are unaware of how we do attribution and how solid the science behind the IPCC statements is. And judging by many of the comments, it certainly isn’t the case that these pieces are only read by the already convinced. But asking how many people are helped to be persuaded by articles like this is a valid question, and I don’t really know the answer. Anyone? The goal of “Climate without Borders” (CwB) is to unite TV weather presenters from all over the world and bring scientific knowledge to a broader public. This, in turn, creates climate awareness and creates support for the urgent climate action needed. Although the name suggests a kind of connection with Doctors without Borders, members of Climate without Borders won’t be traveling to island nations about to be submerged, like Tuvalu, or areas sub and physically volunteering in the refugee efforts. Rather, Climate without Borders is a network of TV weathercasters around the world who aim to communicate the science, and impact of climate change, and give warnings to their local viewing populations. This makes the organization unique in the world. TV weathercasters are trusted sources of information, and they know the nuances of their audience’s cultures to make messages more understandable. Exploiting this relationship is an effective way of sharing climate information that people will listen to and comprehend. 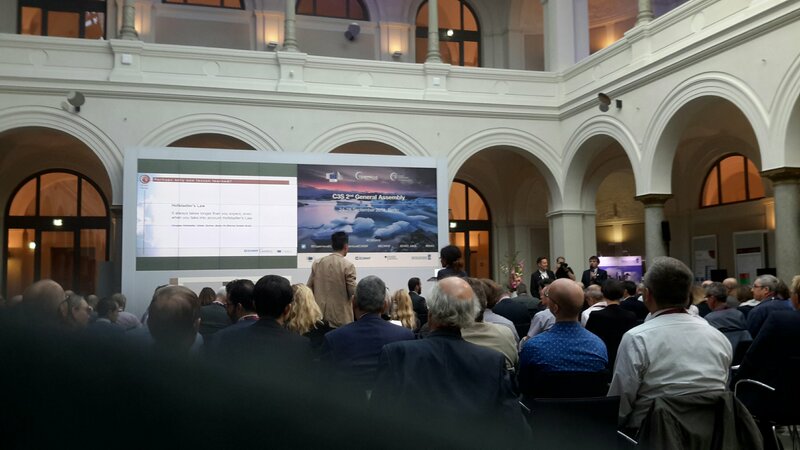 An important milestone was passed during the second general assembly of the Copernicus Climate Change Service, which took place in Berlin on Sept 24-28 (twitter hashtag '#C3SGA18'). The European climate service has become operational, hosted by the European Centre for Medium-Range Forecasts (ECMWF). If you want to make a difference as a scientist, you need to make sure that people understand the importance of your work. Conferences give you one opportunity to explain what you’ve found out. I sometimes wonder if the value of attending conferences is sufficiently appreciated. You can save time getting an overview over your field of research and catch up on the latest developments, which would take many weeks just from reading papers (and it gets harder these days to find the time reading papers). Another benefit is being able to meet colleagues and discuss the latest findings and your results. In addition to sharing your thoughts, you represent your institution and enhance its visibility. Organisations pay a lot of money for increased visibility. This week, I have listened to many good and interesting talks at the European Meteorological Society’s (EMS) annual meeting in Budapest (#emsannual2018), a meeting place for weather and climate experts across Europe and the rest of the world. Readers may recall a post a year ago about a nonsense paper by Hermann Harde that appeared in Global and Planetary Change. We reported too on the crowd-sourced rebuttal led by Peter Köhler that was published last October. Now comes an editorial by three members of the Editorial Board (Martin Grosjean, Joel Guiot and Zicheng Yu) reporting on what the circumstances were that led to the Harde paper appearing.